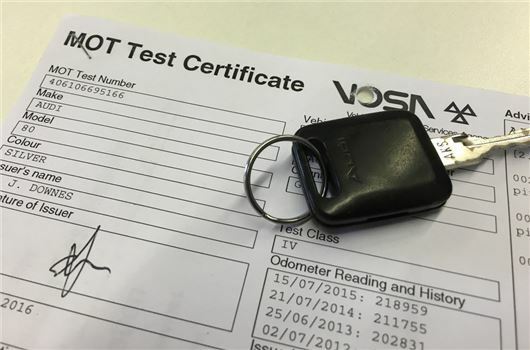 Car buyers are being urged to check their MoT details online, following a clarification by the Driver and Vehicle Standards Agency (DVSA) that the paper certificate is little more than a 'receipt style' document. The revelation was made by the DVSA's MoT Scheme Management Team in response to a Freedom of Information request by Claims Management & Adjusting (CMA), with the respondent admitting that the paper test certificate 'is a receipt style certificate and it is the database holds the authorative record'. Managing Director of CMA, Philip Swift, a former police detective, said: “This important clarification should signal a change in consumer best practice. Most car buyers accept the paper MoT at face value, but 25 years of investigating cloned and clocked vehicles has taught us not to be so trusting. "Vehicle crime has become highly sophisticated but when it comes to paper MoTs a lot of the tactics are rudimentary, commonly simple photocopies with the mileage altered. In one recent case, someone had downloaded the sample certificate from the government website, filled it in and passed it off as genuine." Checking the status of an MoT online is generally free and easy. HonestJohn.co.uk, for example, has launched brand new user homepages, which make it simple to keep on top of MoT dates, Road Tax (VED) renewals and Real MPG readings for all the cars you own. Readers who sign up for the free user homepages can also use the service as a quick car history check when buying, as it makes it easy to check the recorded mileage and review a car's full MoT and SORN history. As well as keeping a car's history all in one place, user homepages also acts as a hub for owner reviews, garage reviews and everything you've ever asked through Ask Honest John, Car Chooser and valuations. Another possible fraudulent activity, is to clock back mileage after the initial 2 years are up, and before the first MOT. How could a buyer know? Another possible fraud is to clock back miles upon 2 years old, and just before the MOT is due. How could you know?